Increasing the number of beds in Ontario's health-care system won't on its own solve the problem of hospital overcrowding, says a report that will shape Premier Doug Ford's reforms. The report, officially released Thursday, comes from the premier's Council on Improving Health Care and Ending Hallway Medicine, a handpicked panel of 11 senior administrators that is led by a close ally of Ford. The council has a mandate to advise Ford and Christine Elliott, Ontario's minister of health, on reducing hospital wait times, ending so-called "hallway medicine" and making long-term structural changes to the system. The report, published Thursday morning, also says too many patients are going to hospital emergency rooms for conditions that could be treated elsewhere. While the report says the province "may not have the appropriate number of hospital or long-term care beds to meet the health needs of the population," it does not advocate for an increase in the number of beds. "Simply adding more hospital or long-term care beds to the system will not solve the problem of hallway health care in Ontario," says the 32-page document. It says hospitals are not using existing beds as efficiently as possible, and describes "insufficient capacity" in home care and community-based mental health as a crucial factor. 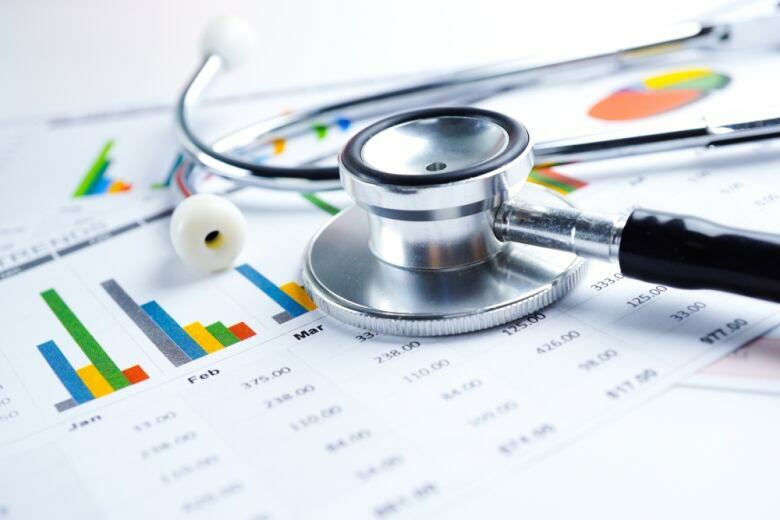 "There are people across the province who are spending time in hospital beds because they can't access other options for health care," says the report. "Going to the emergency department for health care that could be provided somewhere else happens frequently in Ontario, sometimes because it's the only health care setting that is open 24/7." While the council lays out what it sees as the causes of hospital overcrowding, it is not yet making specific recommendations for change. Those are to come in its next report, due in the spring. It's a safe bet the Ford government will take its advice. The council is led by Dr. Rueben Devlin, the longtime CEO of Humber River Hospital, a former president of the Ontario Progressive Conservative Party and a Ford confidant. He was appointed to the post the day the Ford government took power last June. "He's bringing forward some very helpful insights," Elliott told a news conference on Wednesday. "The council is concerned that patients are unable to access mental health and addiction services when they are needed most," it reads. "Long wait times for community treatment means sometimes patients' conditions worsen as they sit in the queue, giving them no other option but to seek care through the emergency department." Devlin has already publicly given strong hints about where is he headed with his recommendations for reform. "We know there's problems with the health-care system, but how do we fix it?" Devlin told an audience at Algonquin College in a speech in late November. "People say, 'You cannot make the system better, and improve quality and still save money.' That's not true." The biggest immediate challenge facing Devlin's group — and the Ford government — is hospital overcrowding. Occupancy rates are unsustainable, Devlin said in his November speech. He pointed to Ministry of Health projections on hospital capacity, suggesting the province needs 8,000 more hospital beds by 2028, yet only 1,700 are planned. "Are we going to build 6,300 patient beds, with their associated capital costs, and operating costs, or are we going to provide a different kind of health care?" Devlin asked. "We need to look at where patients can be treated. If we're going to solve some of the problems of hallway medicine, how do we get patients to go to their primary-care areas rather than showing up in the emergency department?" Devlin also questions whether it would be wise to provide 41,000 additional long-term care spaces, which the Health Ministry projects are needed to meet demand. "Are we going to really institutionalize our elder citizens?" said Devlin in November, characterizing long-term care homes as a final option. "We want to provide care for people in the community, at home and wherever they can receive it, outside of institutions." "We get lots of feedback that navigating the system is difficult," he said. "If we have to go get a family member into long-term care, it's difficult. If I have to take my loved one through cancer care, it's difficult." Devlin has a vision of what he calls "Team Ontario" for the health system. "No matter where you are, we're going to take care of you. One number to call, one website, somebody that's going to navigate the system and make it better for you. In my mind, that's where we should be today." The use of technology to improve the system is another key theme in Devlin's approach. He envisions hospital emergency departments being able to get a new patient's entire medical history by swiping their Ontario Health Insurance Plan (OHIP) card. 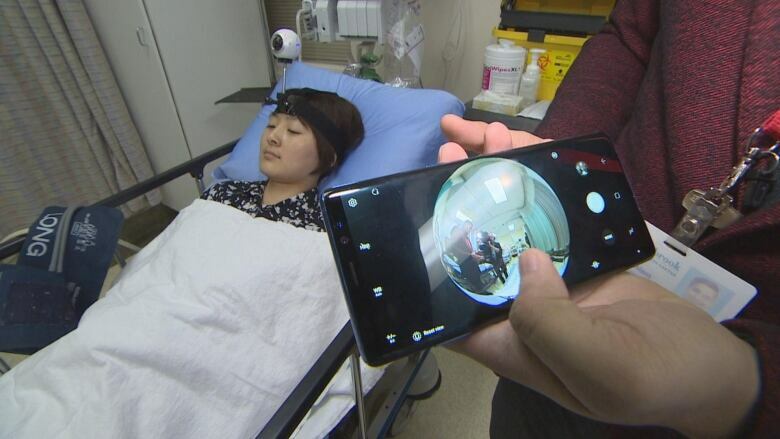 He pictures a provincial command centre for digital health, and he extols the possibilities of virtual care, such as a patient getting his or her blood pressure checked at home, and the result transmitted online to their doctor. Some health management organizations (HMOs) in the U.S. provide more than half their care virtually, Devlin told the Algonquin College audience. Devlin wants "a Ministry of Health and an organizational structure that is nimble and effective." He said that will require "a little bit of organizational change." 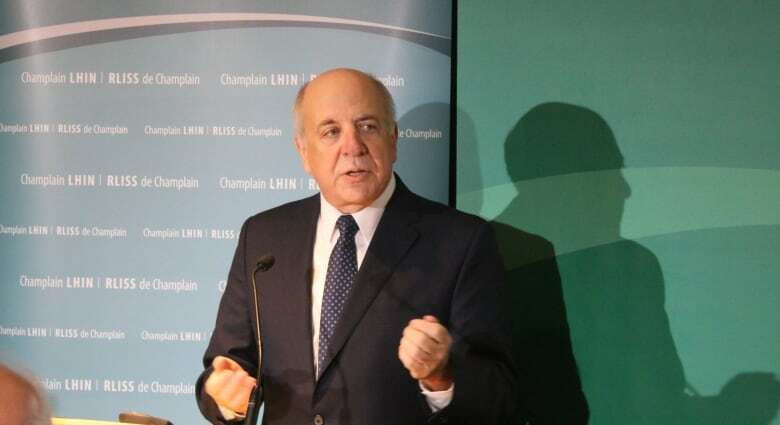 He made the statement before CBC News reported that, according to multiple sources, the Ford government intends to dissolve the province's Local Health Integration Networks (LHINs). He said he has framed the challenge to his team like this: "What's the future of health care? How are we going to deliver health care 20 and 30 years from now?" 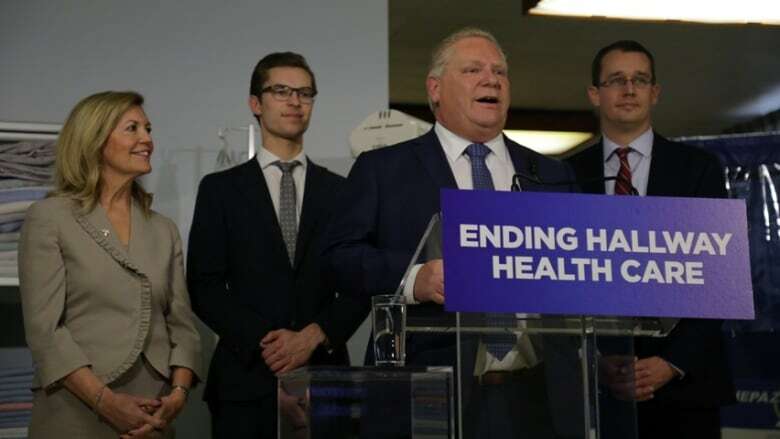 At a news conference Wednesday, ​Ford said his government is focused on hearing from doctors, nurses and other frontline health-care workers. "We're asking for their ideas, and our job is to review those ideas and then implement those ideas," Ford said during an announcement at the Centre for Addiction and Mental Health in Toronto. "Nothing is worse than a bunch of politicians telling frontline people, be it education, be it health care, how to do their job when they're doing it day in and day out."